Trim a recording. 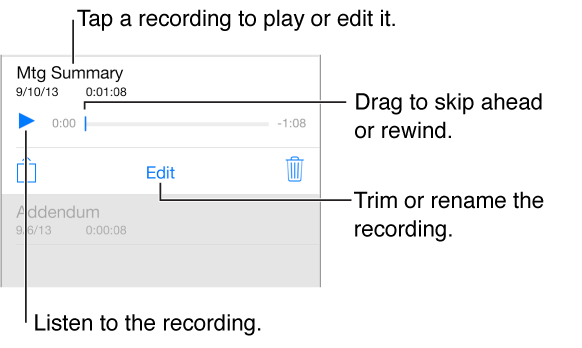 Tap the recording, tap Edit, then drag the red start and end markers. Tap to preview. After making adjustments, tap Trim to save. The portions you trim can’t be recovered.